The Enterprise Portal (EP) in itself serves as the conduit channel through which end-users gain access organizational business information, applications and data. Following the concept of being a centralized means of access, often the User Base of a Portal Landscape is broad, large and diversly situated. 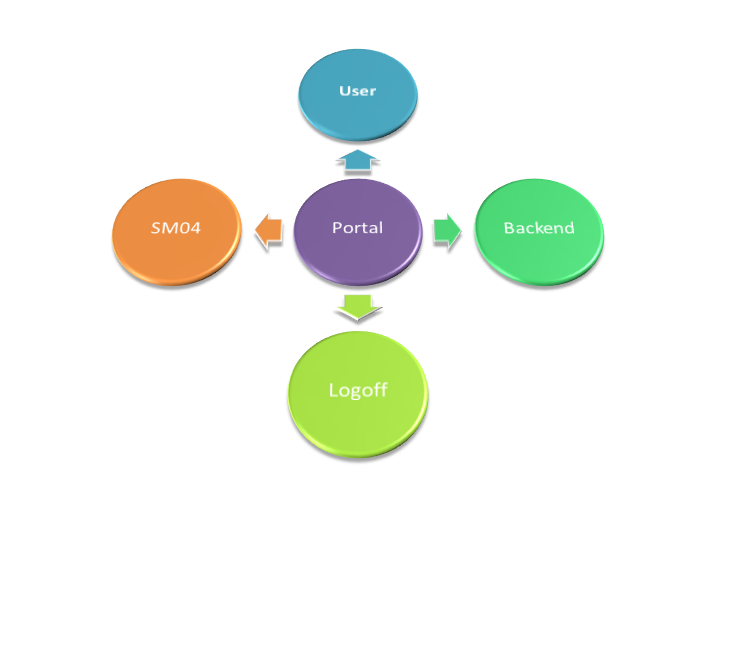 From an end users perspective utilizing the Enterprise Portal is often a straightforward process. We simply logon, fulfill our work obligations and logoff. As an end user we are only concerned with the graphical representation of the Portal that we are presented with through our monitors as oppossed to the underlying functionality that is taking place in the backdrop. Connection Types: Connection types include that of RFC, GUI, Plugin (HTTP/SMTP). RFC Connections: This particular connection type references users which are connected up to the system (Portal) via an RFC Connection. (See RFC’s using the SM04 transaction), a simplistic view on a RFC connection type user is someone who is utilizing the connection using external based RFC clients. GUI Connections: As the title implies this particular connection types makes referneces to users who utilize access to the Portal via a GUI based connection platform. Let us begin by reaffirming the point that when a session expires or a logoff is invoked or browser is closed, no matter what, the connection is not terminated but returned to the pool and kept open as defined in the Connection Lifetime property. In short, the connection stays open for the predefined amount of time by design and this is not an unexpected behavior. It remains in the pool, it is no longer used by another service e.g. the UWL and it is available for other clients. The connection lifetime pool can be reset to a different value. If you check SM04 you can see the logoff references for the sessions that had been previously occuppied by the user. If you face any session management issues such as “session retention” or backend sessions remaining open for end users I would recommend consulting the blog series I wrote on these topics which provide an informative overview on how to troubleshoot and resolve such an occurrence.